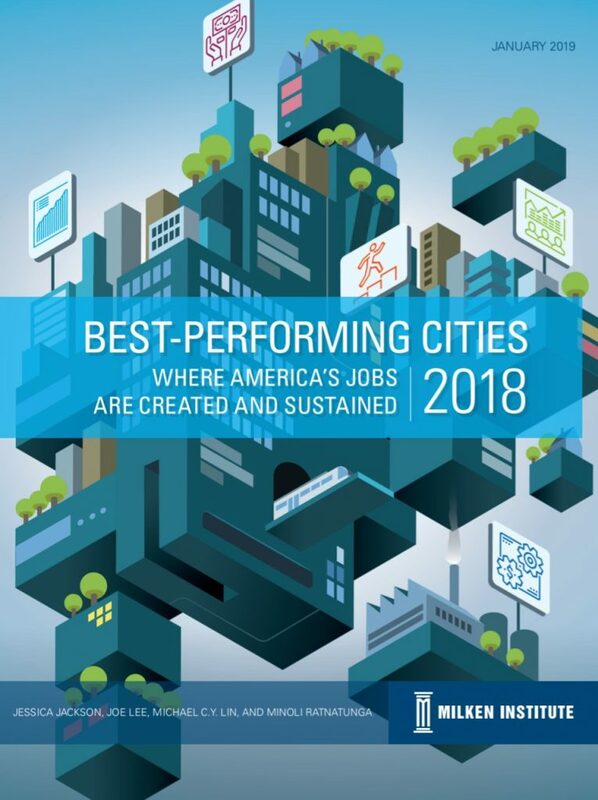 Not only did the Kankakee Metropolitan Statistical Area retain its ranking as the #1 Small Metro in Illinois in 2018, the MSA – which shares boundaries with Kankakee County – jumped from 77 to 26 among 201 small metros nationwide in the “Best-Performing Cities Index” published by the Milken Institute in January 2019. The Kankakee MSA has led Illinois small metros in this ranking since 2013 with the exception of one year, 2016. The index measures how well communities are creating and sustaining jobs and economic growth. The components include job, wage and salary, and technology growth. Highlights of the Milken Institute’s 2018 findings for the Kankakee MSA, which can be reviewed here, are a #2 ranking in 12-month job growth and a #10 ranking in high-tech GDP concentration among 201 small metros nationwide.